In the wake of the strong opposition to the replacement of English signboards with those of Hindi in Tamil Nadu, the Communist Party of India (CPI) on 1 April, 2017 questioned the Central Government's confusion over its language policy referring to its three-language formula. "What is the language policy of the government? Let them answer. Three-language formula has been accepted. What happened to that formula? 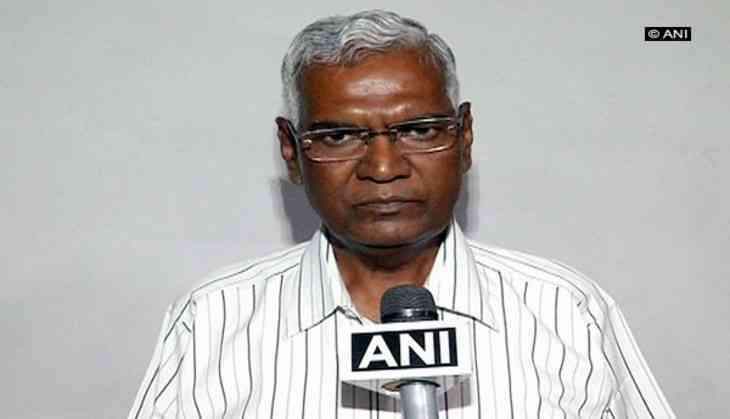 Ask the government to answer," CPI leader D. Raja told ANI. Earlier, Dravida Munnetra Kazhagham (DMK) treasurer and acting president M.K. Stalin condemned the replacement of signboards with English language with those of Hindi along the National Highways in the state. Stalin accused the Bharatiya Janata Party (BJP)-led Central Government of imposing Hindi language through the backdoor in the state. "We strongly condemn the act of replacing English language with that of Hindi along the National highways," he said in a tweet. "If the BJP government tries to prioritise Hindi and give less importance to Tamil language then a new movement against Hindi could start," he said in a statement. The call for a new movement against Hindi came after reports of English signs on National Highway milestones in Tamil Nadu's Krishnagiri and Vellore District were replaced with those of Hindi. Earlier in the 1930s and 1960s, Tamil Nadu saw massive protests and riots against 'Hindi imposition'. In 1937, stiff resistance emerged to the introduction of compulsory teaching of Hindi in the schools of the then Madras Presidency by the first Indian National Congress government led by C. Rajagopalachari. This move was immediately opposed by E. V. Ramasamy, popularly known as Periyar, and the opposition the Justice Party, which was later renamed as Dravidar Kazhagam. DMK, which split off from the Dravidar Kazhagam, later led the opposition to Hindi in 1965.